American literature has something for everyone! Are you looking for something to read while you’re on the beach or enjoying your host city’s parks? American literature spans every type of genre, so no matter what kind of books you enjoy, you'll likely find a story that you won't be able to put down. Gain insight into American culture and enjoy a great story with these classic American reads. Edgar Allan Poe was a great writer of dark, macabre poems and short stories. His most famous stories are collected in this work including: “The Tell-Tale Heart,” a classic suspense story, and “The Murders in the Rue Morgue,” cited as the world’s first detective story. Many dark and suspenseful writers came after Poe, but he was an original for his time and a master of his craft. One of the most beloved and widely read American novels, this book is credited with creating the concept of the “all-American girl.” The novel follows the lives of four sisters: their homelife, coming of age, and romantic hopes. Many literary scholars have argued that it provided a template for an alternative idea of womanhood with its story of an all-female, democratic household. Mark Twain is one of the most beloved American writers of all time. His witty stories perfectly captured American culture of the late nineteeth century, often seen through the eyes of his young protagonists. The Adventures of Tom Sawyer is a wonderful tale of boyhood adventures in a small town on the banks of the Mississippi River. Edith Wharton won a Pulitzer Prize for this novel, the first woman to do so. It is a critical portrayal of an upper-class couple, whose impending marriage is imperiled by the arrival of a scandalous cousin. Wharton’s accurate and detailed description of wealthy East Coast society at the time makes it both fun and enlightening. Stories and poems published throughout the 1920s. Famous for her snarky one-liners, Dorothy Parker’s short stories prove she was a great writer, too. An early feminist writer, her stories often paint portraits of women trapped by the social constraints of their time. The tone ranges from sarcastic to poignant, so you'll find stories for every mood! One of the most well-known American classics, The Great Gatsby follows the complicated lives of several residents of Long Island during the Roaring Twenties. Fitzgerald explores the consequences of the era's excess for the wealthy and the not-so wealthy through the intricate affairs and wild parties of the main characters. Jack Kerouac was a major figure in what he called the Beat Generation. On the Road is a classic from this period, as well as a famous American road trip novel. Primarily telling the tale of a road trip across America, the book revels in the Beat counterculture of jazz, coffee shops, and a carefree, footloose lifestyle. This satirical novel about World War II is considered one of the greatest books of the 20th century. The story is told from the point of view of several members of the fictional 256th squadron of the U.S. Air Force. It follows them through their wartime assignment in Italy as they try to maintain their sanity while waiting to be sent home. John Steinbeck was a American author who wrote dozens of books largely set in California, but there is something special about this travelogue that chronicles his attempt to get to know America again. He set out in a small camper with his poodle, Charley, to meet the Americans he wrote about and inspired thousands to follow in his footsteps. One of the first true crime books in the U.S., In Cold Blood was an immediate best-seller. Capote saw a short article about the violent and mysterious deaths of a family from Kansas and was determined to write about it. He went to the small town and interviewed family, neighbors, friends, and eventually the killers to create a thrilling portrait of a murder. This historical novel, and the miniseries based on it, created a sensation in the 1970s. Alex Haley tells the story of his African-American family from the time that his ancestor, Kunta Kinte, was brought to the Americas from Africa and sold into slavery, to the present day. You'll see African-American history through the eyes of one family in Roots. Alice Walker tackles racism and sexism head-on in this beautifully written novel told from the viewpoint of an impoverished black girl living in the American South. It explores many of the issues affecting African-American women of the 1930s and highlights the strength many women drew upon to survive. Garrison Keillor is best known for his radio show, A Prairie Home Companion, from which some of the characters and stories in this book are derived. They are woven together to create a darkly humorous portrait of a small town in America. Although there is not a linear narrative, the town’s history and its citizens’ stories paint a complete picture of life in the Midwest. Junot Diaz is one of the top contemporary authors writing about the immigrant experience in the U.S. This collection of short stories explores the Dominican-American community in New York and New Jersey that Diaz knows so well from his upbringing. The realism he brings to his stories is what brings this community to life. Touted as a new American classic, The Fortress of Solitude tackles several themes of modern urban life in the U.S. It follows two boys who grew up in Brooklyn through the 1970s, '80s, and '90s and weaves realistic portraits of American life into a comic book-inspired story of a magic ring and superpowers. Have you read any of these books? What would you add to the list? 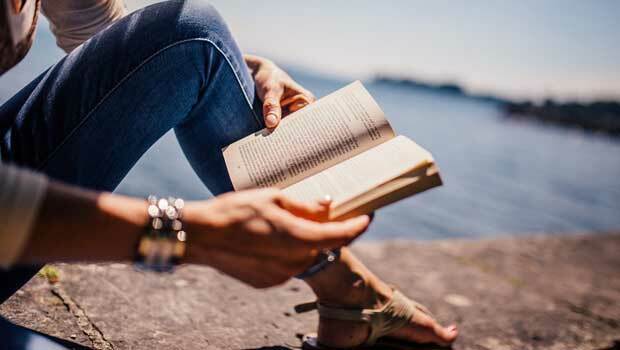 Reading novels from another country is an excellent way to broaden your understanding of the culture and improve your language skills, all while enjoying a great story!